Circa 1980, Los Angeles California, Joseph Christopher [aka Josef Cristofer] set out on a journey into his life-long passion and career in electronic dance music. 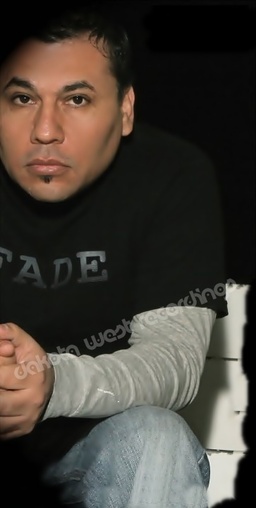 He has been a major contributor to the Los Angeles dance and music scene As a DJ, record producer, re-mixer and music store owner (in 1992 opens first store Sound Factory, 1999 2nd Ground Level, 2000 Pitch Perfect Music). He has remained passionate about every facet of his work and continues to expand his horizons. Since his inception as a DJ at the age of 13, Joseph Christopher has created and maintained a level of integrity as DJ, producer and label owner. His over 25 years of experience and longstanding presence within the underground dance music culture has allowed him to stay atop industry trends while staying true to his one passion life… the MUSIC. His tireless work ethic as both DJ and producer seems to have no limits as he continues to strive forward. Originally launching Pitch Perfect Music as a record store and label with several releases on vinyl, has now evolved into a cornerstone for solid dance music as a digital record label, as well as a promotions and a music production studio. Pitch Perfect Music has served as a foundation for artistic expression and a medium for creative output, allowing artists to break through new styles and forms of music worldwide, and a great platform to expose new material. His second endeavor Dakota & Black Productions (along with partner Yvonne Black) deals primarily with remixing major artists and event organization. DJing for some of the greatest nights known to the Los Angeles nightlife that include: Ecco Ultra Lounge, Suede Lounge, Luna NightClub, Avalon, Re-Edit, Naked, Ivar, Satisfaction, Fantasia, Grand Ave, Flow @ King King, and residencies that lasted for over a decade such as: Grand Ave home to Naked and Circus. Despite his extensive resume and notoriety, Josef Cristofer never seems to forget his roots; which makes him all the more respected and memorable. Josef Cristofer has been honored to shared the stage with some of the worlds best that include Todd Terry, Paul Oakenfold, Starkillers, Nick Terranova, Morgan Page, Christopher Lawrence, Yvonne Black, Gabriel & Dresden, Hex Hector, Jorge Jaramillo, Taylor, Mellefresh, Stephan K & John Creamer, Richard Vission, Tony Largo, Robbie Rivera, Sandra Collins, Swedish Egil, Peter Black, and Tall Pall to name a few on the ever-growing list. As one half of the production duo (with Yvonne Black), They have released several productions. Make sure to take a listen, all tracks out now on beatport.com, Itunes & any where music is sold.